“Sur le Pont d’Avignon” is a French song about the Pont d’Avignon that dates back to the 15th century. 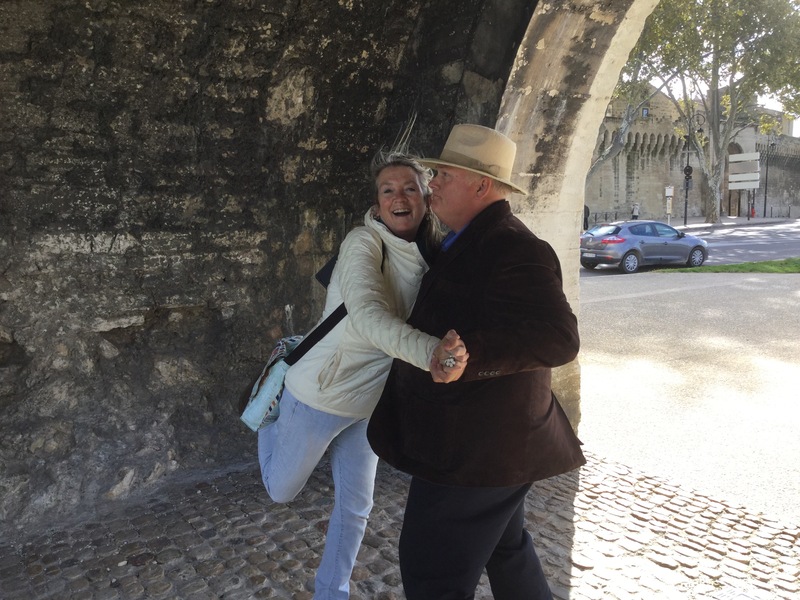 The bridge is officially Pont St. Bénézet but it is better known as the Pont d’Avignon on which one dances, as the song says. 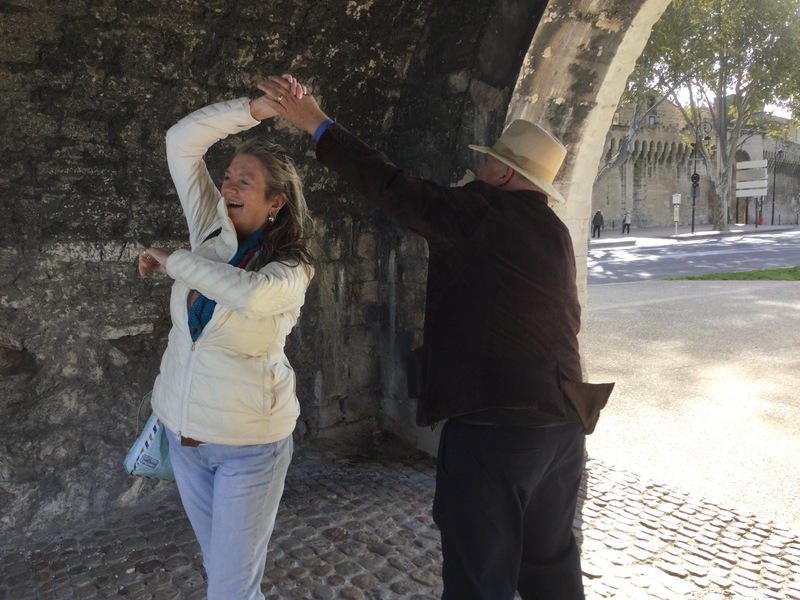 The dance actually took place under the bridge and not over the bridge (“Sous le Pont d’Avignon”, not “Sur”). It starts out with everyone in pairs and they dance around each other. When the chorus is done stop in front of your partner and traditionally the male will bow on the first part then tip their hat on the second. When the chorus begins again repeat step one. When this stops so does the dance and then the girl curtsies to one side then the other. For the first part, repeat step one and then if you have an audience turn on your heel and bow to them.